There is a fine line between where Formula 1 cars stay on the track, and planes take flight. It stands to reason: a Formula 1 car is basically a small plane that is forced to stay on the ground. Reverse the wings and the car will take flight. Hence, it is no surprise that Richard Mille (along with Formula 1 teams) has always been a pioneer in the use of aeronautical materials: titanium, carbon nanofiber, ALUSIC, and orthorhombic titanium aluminide. With the RM 039 E6-B, Richard produced a watch specifically with flight, and the pilot, in mind. 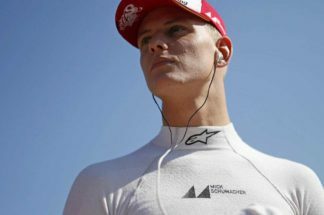 Although Mille’s passion for Formula 1 is well known, he is equally effusive about technology and technique as it applies to aviation. In designing a watch for aviation, Mille not only referenced his knowledge of aviation materials, he also asked himself, what else was needed from a flight instrument: in the air, with a map and no other instruments to help you out, can a watch get you home? Although there are now a host of electronic instruments in planes that provide very precise information about speed, distance, and time, pilots still want to carry a mechanical flight instrument in the event that everything else fails. Rather than ending up dead, “dead reckoning” using a watch and an E6-B slide rule is the better part of the two options. “Dead reckoning” as a navigational system is fairly simple: distance traveled is a function of speed multiplied by time. From a start position on the aeronautical chart, a line of points at estimated positions at fixed intervals (say every 15 or 30 minutes) is drawn. At each interval, visual observations of ground features are used to obtain fixes. By comparing the fix and the estimated position, corrections are made to the aircraft’s heading and speed. As simple as it sounds, the equation becomes far more complex because of a number of factors that can affect the aircraft. Not least of which are wind direction, the density of the air, whether the aircraft is climbing or descending. Dead reckoning requires that all of the necessary variables are considered to compute position, fuel, and the true course or heading. As part of the E6-B flight computer, the “wind triangle” is used to calculate the effects of wind on heading and airspeed to obtain a magnetic heading; allowance is also made for the effects of air density on aircraft rate of climb, rate of fuel burn, and airspeed. Such is the importance of understanding these effects, especially in emergencies where other flight instruments are down, that dead reckoning is still taught as VFR (Visual Flight Rules) for new pilots. In fact, some flight schools will require pilots to first master VFR before they are allowed to fly planes with electronic navigation aids. For the pilot, the RM 039 has all the necessary readouts and functions included within the timing and countdown chronograph functions to function as a complete flight instrument. Before the advent of electronic navigation systems into the cockpit, pilots had to rely on manual instruments to make quick calculations about actual speed and distance traveled, with a number of variables in play. These included the E6-B, a basic but comprehensive manual flight computer. Although the E6-B was not the first or final iteration of the manual flight computer, it was the term used by US forces during the Second World War to refer to the manual flight computer, to the extent that it entered popular folklore and was even used by Spock in early episodes of Star Trek! The E6-B was the invention of naval aviator, academic, and engineer, Lt. Philip Dalton. The actual flight computer went through several iterations and name changes, but somehow, the name always returned to E6-B. A typical calculation done by this wheel answers the question: “If I want to fly on course A at a speed of B, but I encounter wind coming from direction C at a speed of D, then how many degrees must I adjust my heading, and what will my ground speed be?” This part of the calculator consists of a rotatable semi-transparent wheel with a hole in the middle, and a slide on which a grid is printed, that moves up and down underneath the wheel. The same functions can be read off the bezel of the RM 039. Quite ingenious! But added into the instrument is both watch (very necessary and usually a separate instrument) as a countdown chronograph, and UTC hand. The RM 039 E6-B represented Mille’s most ambitious watch at that time (2012) in terms of technical complexity. Arguably, it still is. It is, in the considered opinion of none other than Giulio Papi, the most complex watch in production. This is not counting a watch by the number of complications, or necessarily the number of parts per se, but the required complexity to synchronize a number of parts moving at precisely the same moment. The RM 039 incorporates the E6-B flight computer as a round slide rule within the case; Just the case alone contains over 300 parts. The E6-B round slide rule, incorporated into the bidirectional rotating bezel, can be used to read off and calculate fuel burn, flight times, ground speed, density altitude or wind correction, as well as the fast conversion of units of measurement. The RM 039 has a tourbillon escapement and a flyback chronograph. Other time functions include a UTC (coordinated universal time) hand, a countdown mode, an oversize date at 12 o’clock and a function selector. As a complication, the RM 039 E6-B provides pilots with a fast, practical flight computer for measuring a series of successive elapsed times when navigating through different marker points. The movement contains 740 parts. In total, the complete watch comprises a staggering of 1000+ parts. Initially, the RM039 E6-B was launched in 2012, but it took another 18 months to get a working prototype on show at SIHH 2014. The watch did not involve any new materials that Richard had not used before, but the mechanism was so complex, it took two years to get the movement to work, even after all the simulations on the design. As with all Richard Mille watches, there was a computer simulation of the movement to ensure proper coordinated functioning between all the movement parts. However, in the actual testing phase, it was found that the tensile strength of the springs were specific to the point that if not aligned exactly, the various chronograph and countdown functions would fail to operate in the coordinated way they were expected to. At first, a Perspex model was constructed to test the ratios and springs. Second, a number of prototypes were made to test various aspects of the movement. To provide some idea of the complexity, for the ON/OFF function that is part of the chronograph, the springs have to be aligned in an exact manner. The chronograph contains a number of unique features specifically designed for use as a flight instrument. The watch wearer can start or stop the chronograph with a pusher located at 10 o’clock. The flyback function can be reset to zero at any time using the pusher at 8 o’clock. To stop the chronograph, press the pusher at 10 o’clock, then press the reset/flyback pusher. To use the chronograph minutes counter in countdown mode, press the pusher at 9 o’clock once. An aperture at 7 o’clock then displays the mode selected: “ON” for countdown mode and “OFF” for chronograph mode. The pusher at 4 o’clock enables the minutes counter hand to be adjusted quickly between 59 minutes and 01 minutes. Pressing lightly will advance the hand by one minute, while pressing more firmly will advance it by five minutes. Once the countdown time has been set, the pusher at 10 o’clock can be used to start the chronograph. Once the minute hand reaches zero, the display at 7 o’clock changes to “OFF.” At any moment, the function can be reset to zero via the flyback by pressing the pusher at 10 o’clock. Understandably, the movement and the alignment of the springs for such a complex countdown chronograph had to be exact. To simply adjust the “ON/OFF” countdown function, one spring has to be weak (for the advancement by single minutes), while the rest have to be stronger (for the advancement by five minute intervals). For Mille, the integrity of the watch was paramount and absolute. Despite the size of the watch (a diameter of 50mm and a height of 19.2mm) it fits perfectly on the wrist. Over 800 milling operations are required (over 11 hours) to create the case shell. Another separate whole day of quality control checks follows. The five separate pushers, the crown, and their separate components are another 10 days of machining after which various testing is undertaken for quality control and water testing on the seals. Everything is considered: from the design of the wheels or cogs to the coloring of the instrument for the readouts. The design for the bridges and various levers is taken from the same design that aircraft have. Mille scoured archives and the internet looking for the exact form for design or color. Even for parts of the movement that remain hidden in the completed watch, the same attention to detail and the same level of finishing pervades. Once a fully functioning prototype had been developed, the watchmakers continued to test it for a further six months. First, a number of prototypes were then developed to test out various parts of the mechanism. Second, testing has included subjecting the mechanism to shocks of up to a 100G and attempting to press all buttons on the watch simultaneously or in random order to ensure that should the buttons be pressed in a sequence that was not set out, that the watch would either continue to work as it should, or be able to be reset. The base plate and other plates in the movement are made from PVD coated titanium. This was a departure from using carbon nanofiber, and the reason was simple. The RM 039 was so complex that the baseplate required a similar degree of complexity in the design. The carbon nanofiber was not able to accommodate the complex number of screws, jewels, and pivots. The RM 039 Aviation E6-B also includes an oversize date display, placed at 12 o’clock, that uses two skeletonized calendar discs. The pusher at 2 o’clock is for easy date correction. 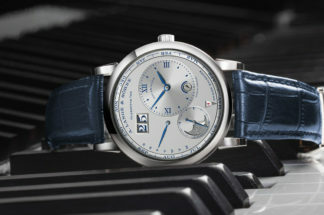 The watch’s UTC function displays a second time zone by means of a Super-LumiNova-filled hand. The watch is also equipped with a function selector, similar to a car’s gearbox, in which a push-button located at the center of the crown allows one to select the winding, neutral and hand-setting functions with a simple push. A hand at 4 o’clock displays the selected function: “W” (Winding), “N” (Neutral), H (Hands), or “U” (UTC, for setting the UTC hand). The case features two bezels, one fixed and one rotating, which provide the E6-B slide rule information. The rotating bezel has yellow transfers showing a logarithmic scale (from 10 to 99) and units of measurement, in red, that can be used to convert the measurements used in navigation. This means a user can make conversions between kilometers (KM), nautical miles (NAUT) and statute miles (STAT); liters (Liters), U.S. gallons (US GAL) and imperial gallons (IMP GAL); meters (Meters) and feet (FT); and kilograms (KG) and pounds (LBS). The indications shown in yellow on the outside at 9 o’clock enable the air temperature to be selected from -60°C to +50°C. This is essential for calculating real altitude in flight in relation to temperature. An altitude scale is provided via a red transfer on the outside of the bezel at 12 o’clock. It is expressed in thousands of feet, from 0 to 50. The same scale is visible on the outside (white transfer) at 2:30, but graduated in this case from -10 to +45. Using these two scales on the outside of the bezel combined with the slide rule enable real flight speed to be calculated in relation to air temperature and altitude. On the fixed bezel, a second logarithmic scale (from 10 to 99) can be used to read off conversions of units of measurement. It also has an hour scale from 1 o’clock (rate 60) to 9 o’clock, which can be used to solve any problem related to distance, speed and time. By combining the logarithmic scales on the fixed and rotating bezels, values can be added, subtracted, multiplied and even divided. Positioned at 9 o’clock, the yellow transfer shows the scale in thousands of feet from 0 to 30 and the red one at 12 o’clock shows an air temperature scale from -70°C to +50°C. Lastly, the fixed bezel of the RM 039 gives an altitude indication in thousands of feet (located at 2:30). Read-off is facilitated by the addition of a movable indicator incorporated in the edge of the case-middle. The desired calculation will depend on the position of the rotating bezel in relation to the fixed bezel. The movement contains 740 parts, including 58 jewels, and has a power reserve of 70 hours (which is displayed at 2 o’clock). The skeletonized baseplate and bridges are in grade 5 titanium. It has a balance wheel with variable inertia and a fast-rotating barrel (five hours per revolution rather than the more common 7.5 hours). The watch is a tour de force mechanical flight computer. Yet for some reason the RM 039T E6-B did not receive the fanfare plaudits it should have. Perhaps because of the time taken between launch (in 2012) and when the watches made their appearance in boutiques around the world (the latter part of 2015 onwards). The complexity of the watch required that all possible permutations and combinations were tried. With over a thousand parts, plus testing for g-forces, the watch was delayed. The other reason lies in the fact that a number were pre-ordered and sold even before a working prototype was available with only 30 made in the series. Once finished, the watches simply went to the waiting wrists of collectors. 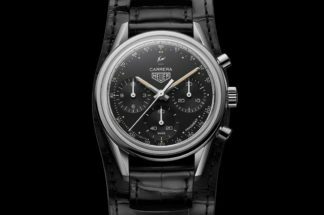 As an additional note, the E6-B functions were then included into the RM 039-01 Flyback Chronograph. Part of the complexity was removed in terms of the countdown/chronograph functions and the tourbillon escapement (as well as the integrated chronograph functions into the movement). The same colour design and complexity in the case remained. Nonetheless, the RM 039-01 remains one of the more complex chronographs on the market.